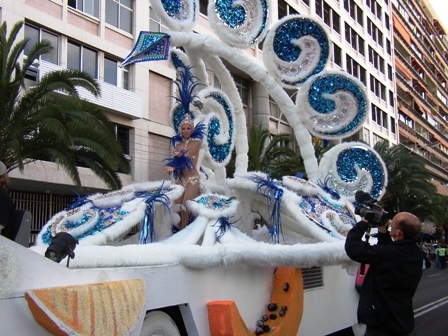 Santa Cruz de Tenerife has launched a bid to have the annual Carnaval designated a World Heritage treasure by Unesco. The city council plans have been in the pipeline for the past six months, and they hope to earn the designation within two years. An initial budget of €400,000 has been earmarked for the campaign to lobby the appropriate bodies to support the application. 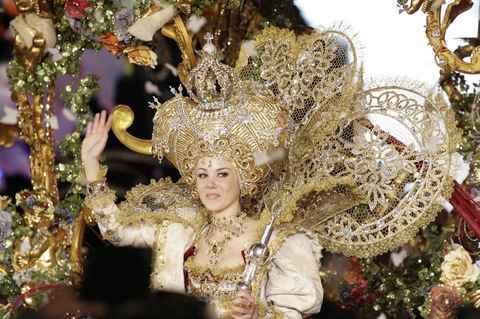 Only five carnivals in the world, of which just one is in Europe, have been awarded heritage status, although surprisingly nei¬ther Rio de Janeiro nor Notting Hill figures on the list. Deputy mayor Ángel Llanos says inclusion on the list would give the Santa Cruz Carnaval mas¬sive publicity throughout the world. To help the bid, work on the city’s €3,000,000 carnival museum is to be speeded up. Santa Cruz is not the first city in Spain to seek the Unesco nomina¬tion. Cádiz announced a month ago it had com-menced work on a similar project, although it has set a deadline of 2012 for the designation. Shopping centre Carrefour’s candidate Nauzé Cruz Melo was chosen Carnival Queen at the end of last night’s 3-hour Gala in Santa Cruz. 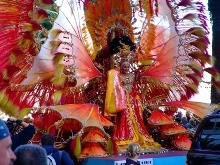 Although not among the favourites in the run-up to the Gala, the winning design – an elaborate costume entitled The Golden Age – proved a big hit with the jury, which included screen stars Sofia Loren and Gerard Depardieu. The event, which was broadcast live on Antena 3 TV for the Canaries and South America, marked a return to the traditional Gala after last year’s controversial attempt to make it an entirely professional show.